Tracy is a Private Client Tax specialist who enjoys advising clients on a broad range of personal tax issues for both UK resident and non-UK resident individuals as well as non-UK domiciled individuals and trusts. She has experience of the UK tax rules for remittance basis users, the UK Statutory Residence Test, dealing with HMRC enquiries to a satisfactory conclusion, as well as providing the important support to her clients on compliance issues including the filing of their complex tax returns. As a longstanding member of the tax department, Tracy’s greatest enjoyment is building client relationships in order to fully understand their needs so as to help them in providing an all-round tailored service for all aspects of their tax and financial affairs, either alone or in partnership with other trusted advisors. An advocate of this successful Rawlinson & Hunter approach, she remains convinced that alongside the excellent service R&H provides, personal relationships and trust remain paramount to the long-standing client loyalty the firm enjoys. 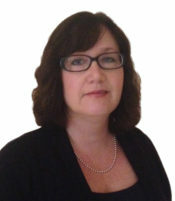 Having joined Rawlinson & Hunter in 1990 as a newly qualified Chartered Tax Advisor, Tracy married, and initially continued her career with R&H on a part-time basis whilst she raised her family, all with the support of the firm who were innovative in the early introduction of flexible working for women. Tracy accredits the firm’s forward thinking approach as one of the material factors in their retention of key personnel, a trait which is fundamentally important in supporting the delivery of the first-rate and high level client service on which the firm’s excellent reputation is founded. Tracy is an experienced Chartered Tax Adviser who joined Rawlinson & Hunter as part of their Private Client Tax team where she remains.